Soap Mosaic has a uplifting peppermint fragrance. It is not too intense or overwhelming - just the right amount to make you fell fresh and alive. As artificial fragrance is not used (they used peppermint oil), the smell is not intense and does not transfer to skin. Orange and yellow soaps are diced and infused into the base. 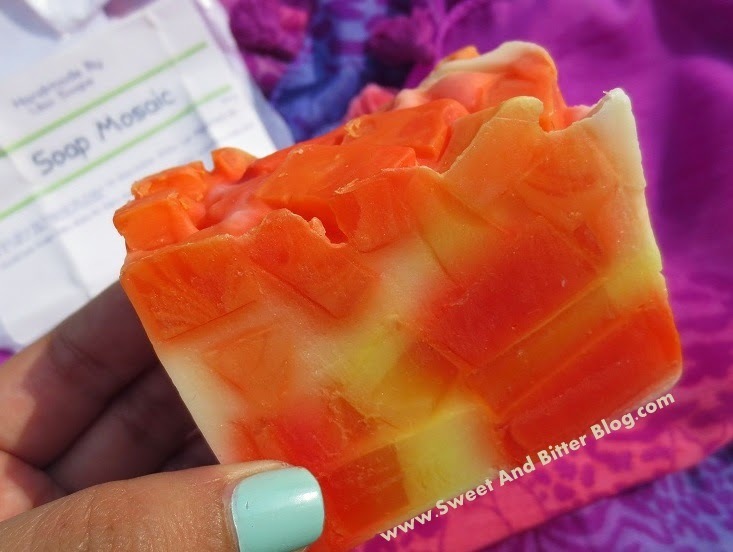 Soap Mosaic is really moisturizing and does not dries out skin. So, you can take longer baths and enjoy it more. 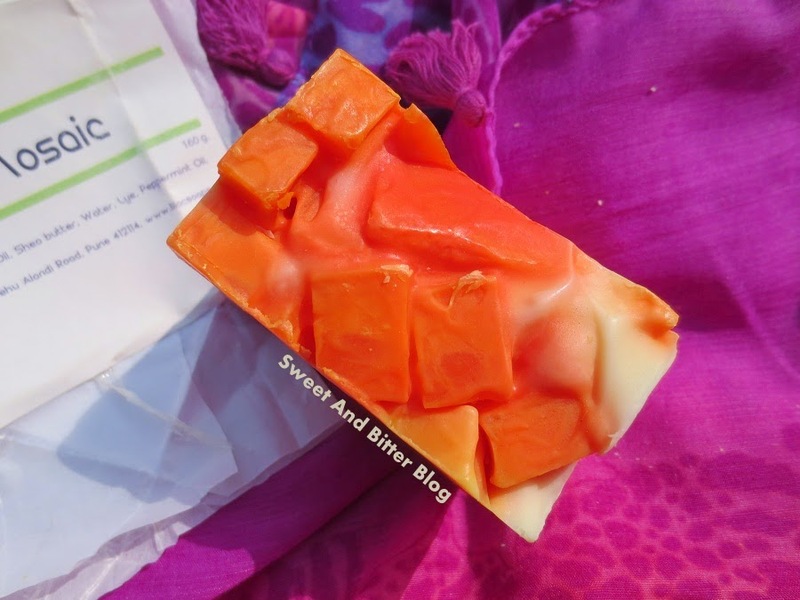 Price - The soap is big - 160g and priced at Rs 80. Khadi Honey soap is Rs 75 for 120g. Do the math and Lilac Soaps win. Ingredients - Olive Oil, Coconut Oil, Castor Oil, Shea Butter, Peppermint Oil, Titanium Dioxide, Lye, Water, Orange & Yellow color. 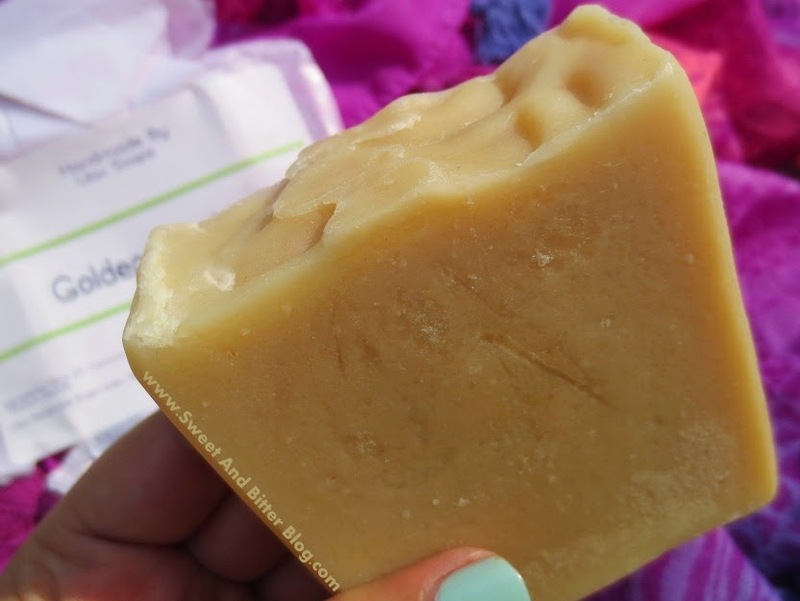 In spite of contains this many moisturizing ingredients, the soap neither melts easily nor sweats. Same is the case with Soap Mosaic. 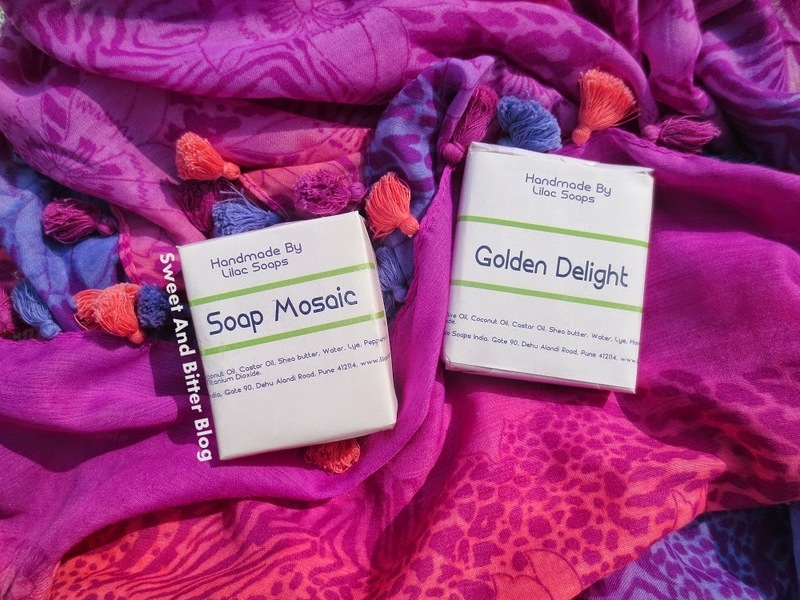 Budget handmade soaps - cheaper than even Khadi! 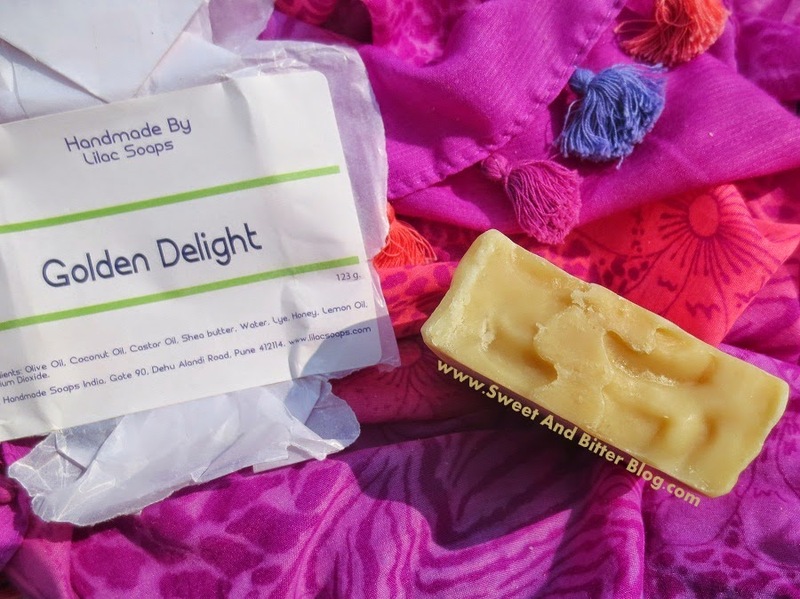 Fragrance is medium for Soap Mosaic and light for Soap Delight. Available only online at LilacSoaps.com. So, you cannot smell and try. And free shipping is only at Rs 1000 and above. 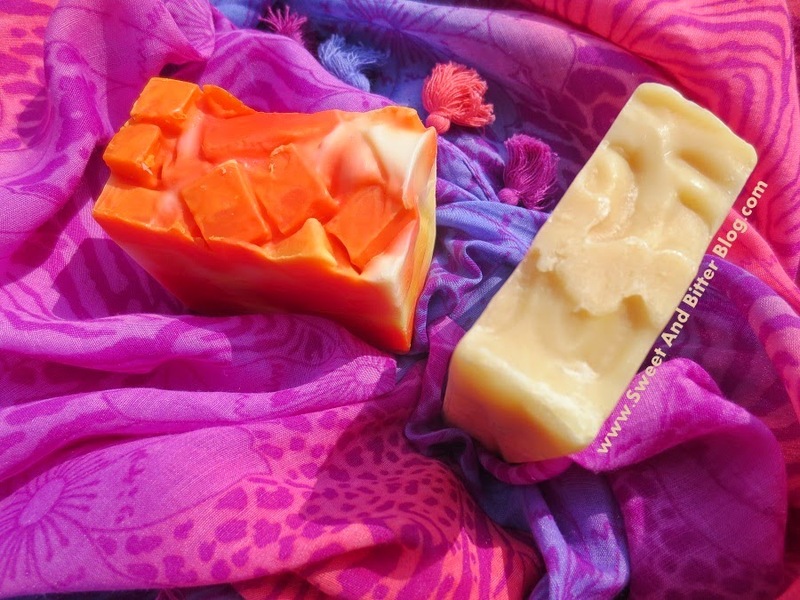 So, you have to buy more than 10 soaps to get free shipping! 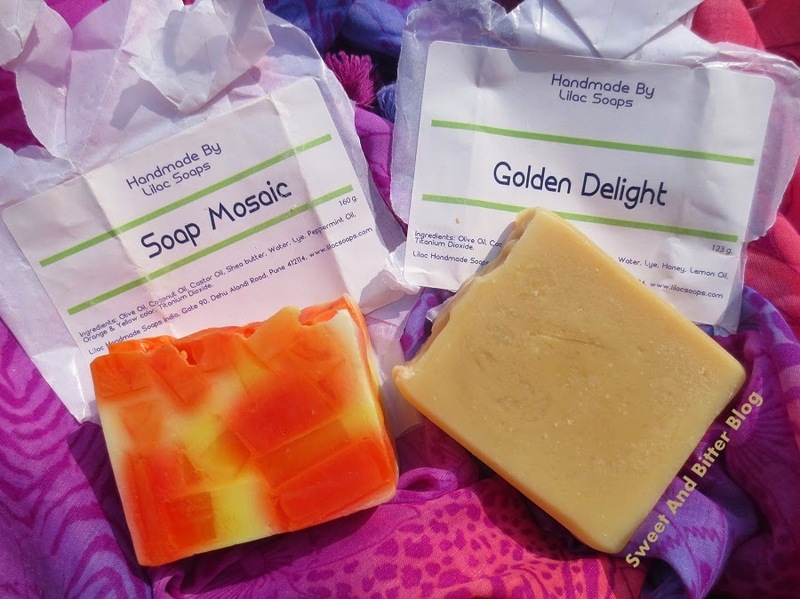 Overall - I really enjoy using the two soaps from Lilac Soaps. They gentle and moisturizing. Both have uplifting smell which is not overwhelming. 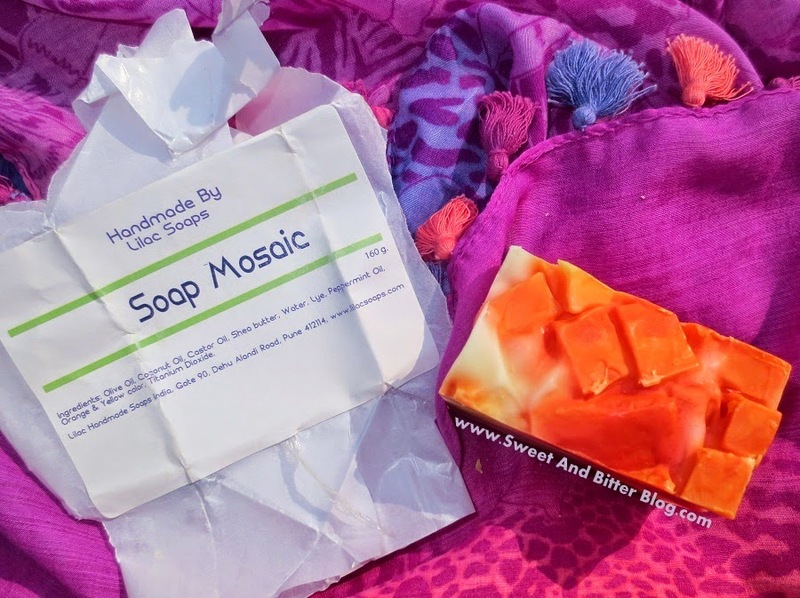 I loved the quality of the soap - no melting, no softening, no sweat. Also, they are priced really low. I hope these are available through other websites or shops soon.